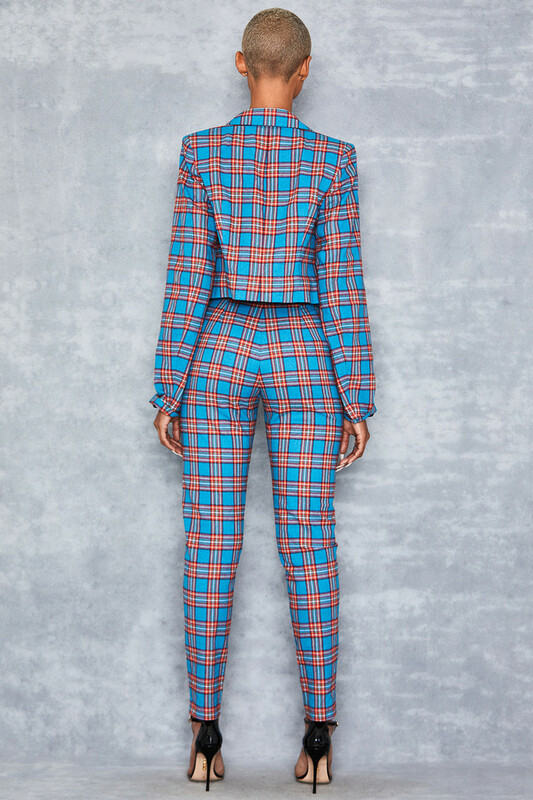 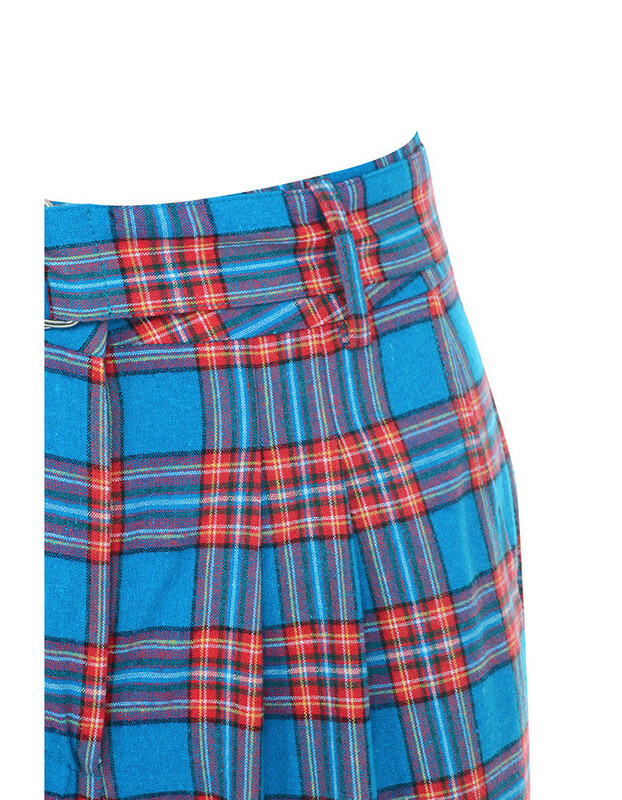 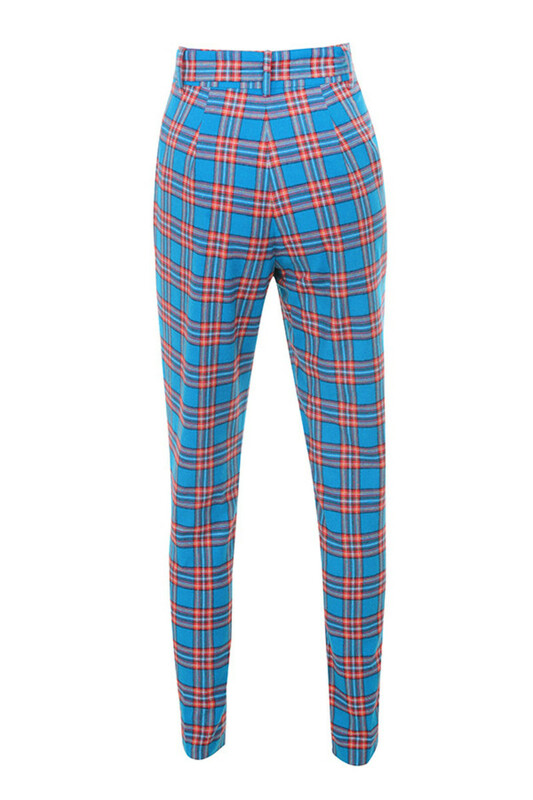 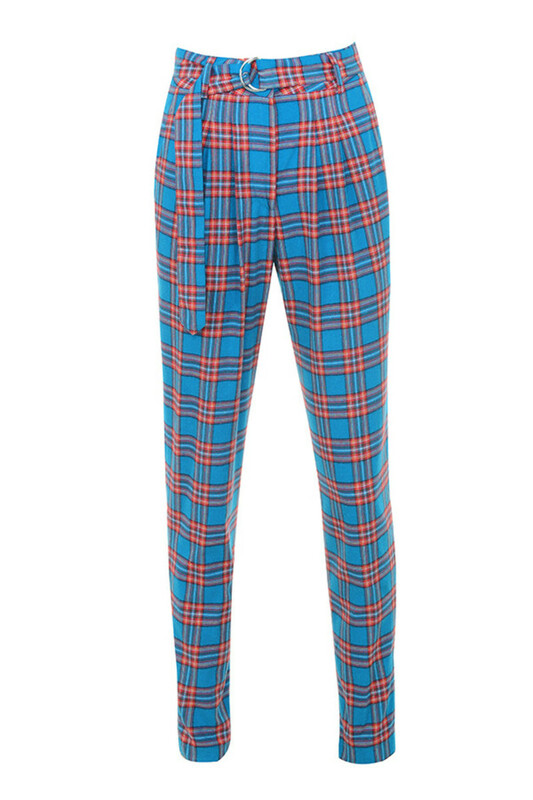 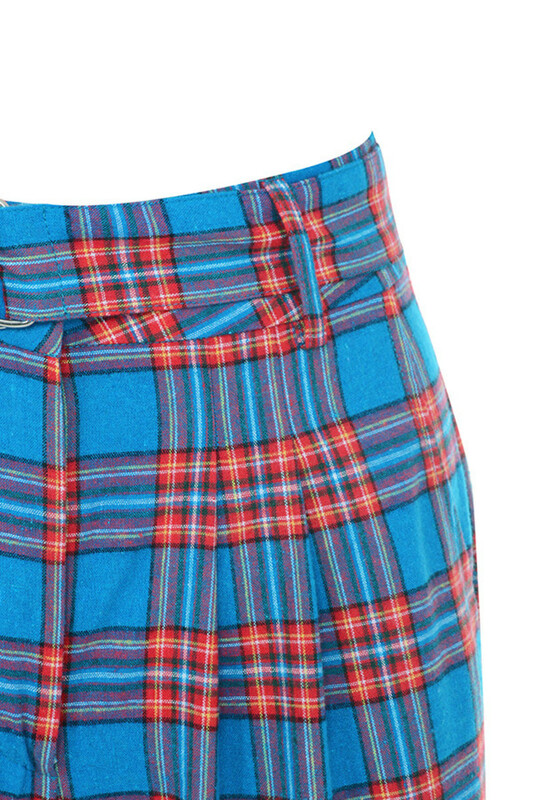 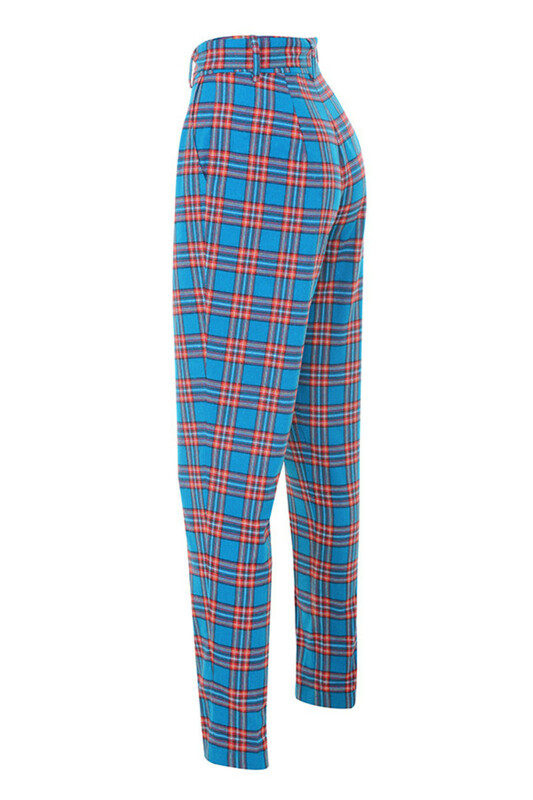 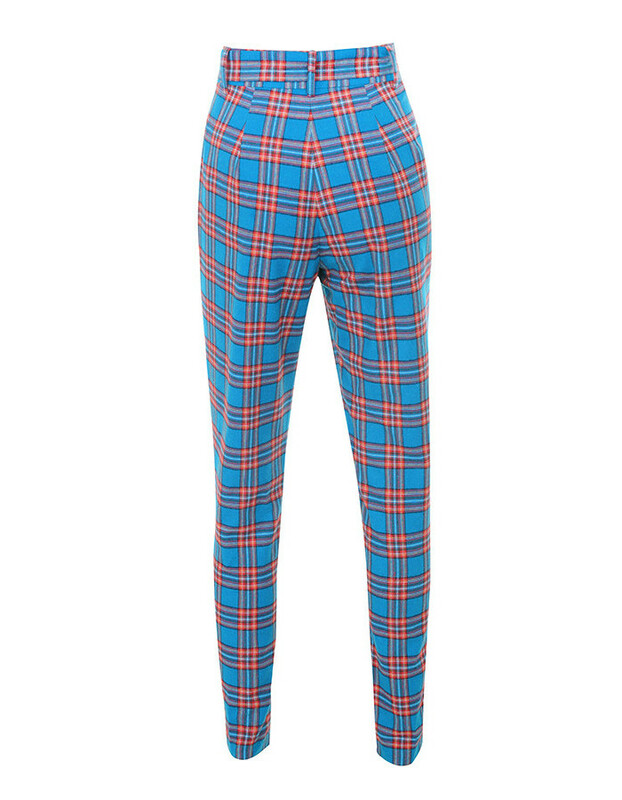 Crafted with a vibrant blue and red tartan check design, 'Zinger' have a super cute fit. 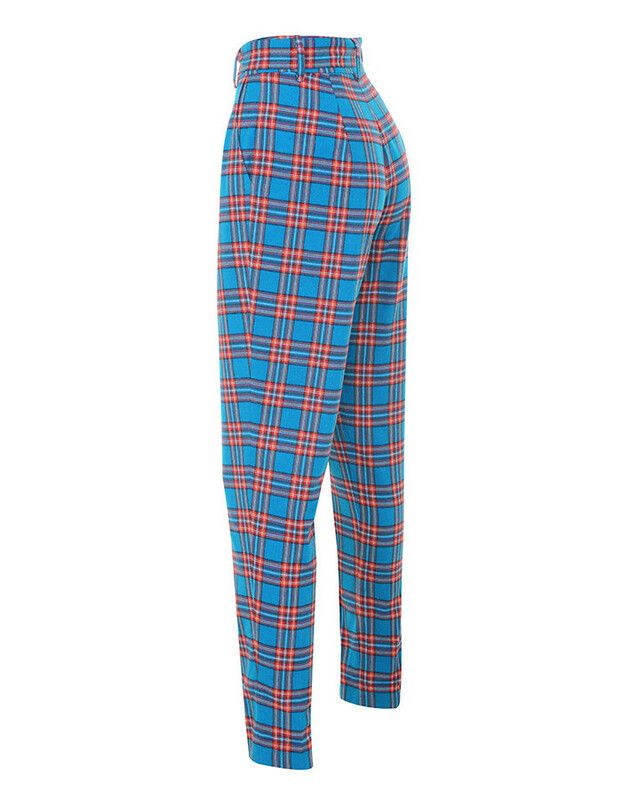 They feature a peg leg shape and snatched waist. 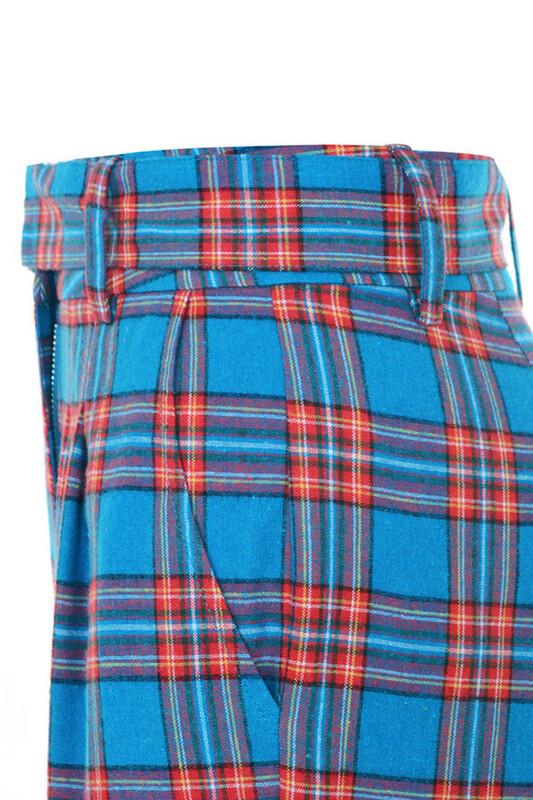 Wear yours with the 'Kamikaze' jacket as our designers intended. 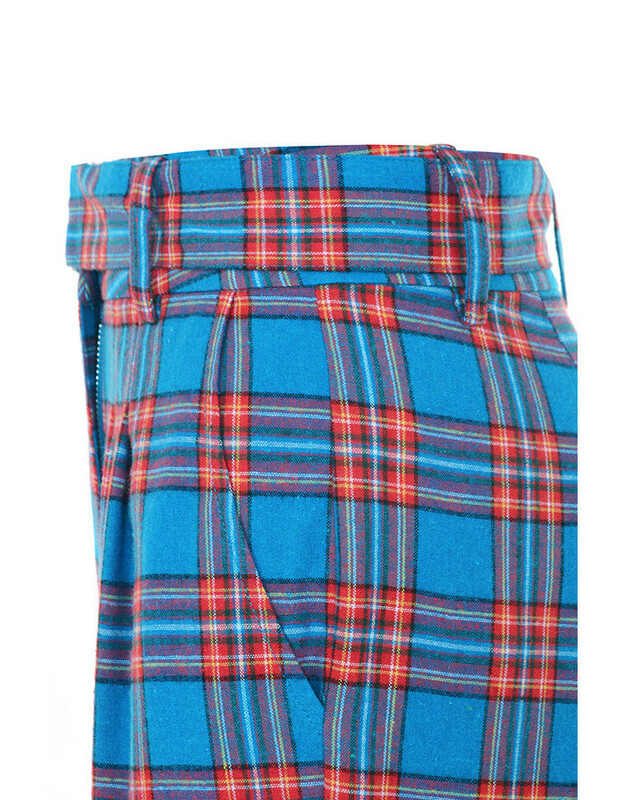 Made from mid wight crepe.